Abstract: Some experts in economics and computer science predict that advances in automation have the potential to replace large numbers of human workers in the upcoming decades. My survey experiment project examines how anxiety of automation shapes Americans’ policy preferences towards redistribution, immigration, and free trade. More specifically, I study whether information that highlight automation’s threat to American jobs in general versus its threat to the respondents’ own jobs produces a greater change in policy preferences. Furthermore, I test whether respondents whose jobs are more likely to be automated are more responsive to the information treatment. Initial analysis of the survey data suggests that presenting information about automation’s threat to human labor convinces them that automation indeed threatens American jobs. Nevertheless, the information treatments do not change respondents’ policy preferences and, in some cases, make them less likely to support redistribution. 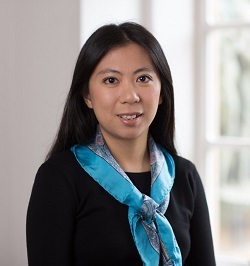 Baobao Zhang is a PhD candidate in Yale University’s Political Science Department, a research affiliate with the Governance of AI Program at the University of Oxford, and a Kerry Fellow at the Yale Jackson Institute for Global Affairs. Her current research focuses on public opinion toward artificial intelligence and how the American welfare state could adapt to the increasing automation of labor. Baobao’s previous research covered a wide range of topics including the politics of the U.S. welfare state, attitudes towards climate change, and survey methodology. Her papers have been published in Political Analysis, Nature Climate Change, the Journal of Artificial Intelligence Research, and JAMA Surgery. Her research and graduate education have been funded by the National Science Foundation Graduate Research Fellowship, the Yale Institution for Social and Policy, and the Ethics and Governance of Artificial Intelligence Fund.